Graffiti isn’t a new concept in the artistic world. Its various manifestations in the past include inscribed obscenities in ancient stone, “Kilroy was here” doodles in World War II and the many colorful, spray-painted images that decorated public places in the 1980s. Then, graffiti was considered an unwelcome form of vandalism. Now with the evolution of graffiti as mural art (à la Banksy), these lines have become blurred, and the people behind the work have transformed from “misguided youths” to professional artists. 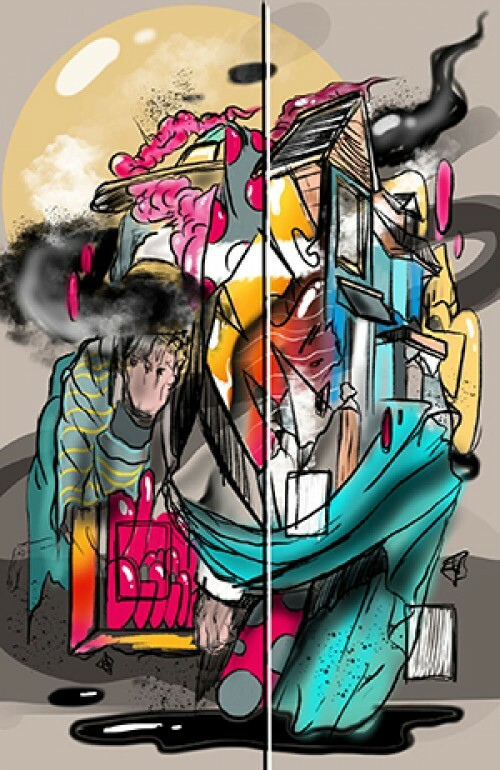 This exhibition showcases the talents of 16 local artists (emerging to professional) and focuses on the many styles and maturation of graffiti and mural art.